We re expanding - we need business advice! 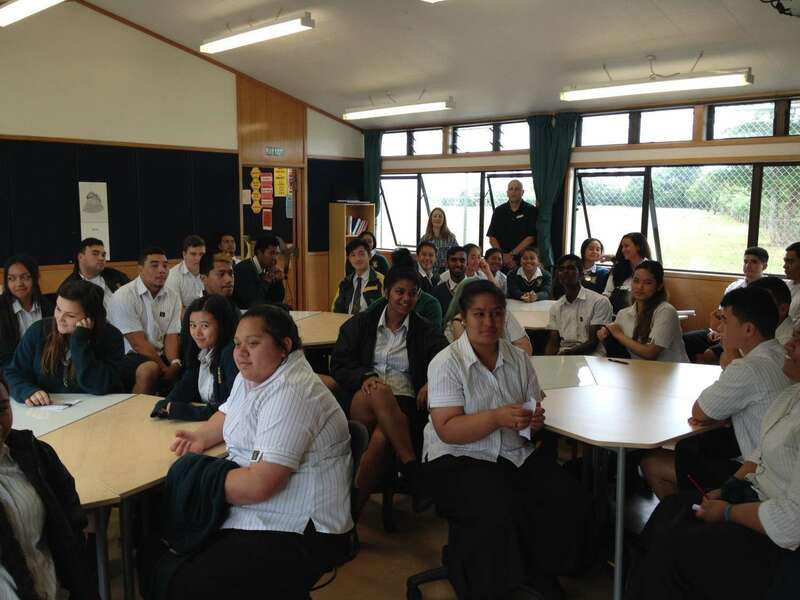 Business is booming at Manurewa High School. In 2015, there are 159 students enrolled in Business Studies across NCEA Level 1, 2 and 3. This is more than double the number enrolled in 2014. Today the two classes in Level 3 Business (43 students) completed a test of one of their most basic business skills: introducing yourself to a business audience. The task was to state their name, an interesting personal fact, and their reason for studying Business. The teaching staff has been boosted to meet the burgeoning demand. Head of Business Studies, Emma O’Riordan, has been joined by Santiago (Santi) Vega, who brings experience working in the businessworld as a financial controller. Emma welcomes additional capacity of "business advisers" in the classroom. “It’s incredible how powerful it is for current students to learn from past students,” she says. Reviewing students' business plans and offering ideas. Talking about areas of expertise in running an enterprise: leadership, HR, operations, marketing, sales and finance. Being part of judging panels. The next available opportunity is for the BP Business Challenge, a Young Enterprise initiative for Year 10 students. Judges are needed for an afternoon, on Friday 6 March.